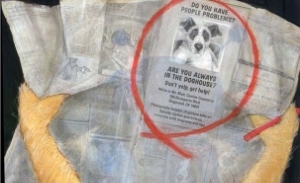 Notice the shadow and the paws--who circled the ad? Notice small ad with dog wearing watch--he's a WATCH DOG! 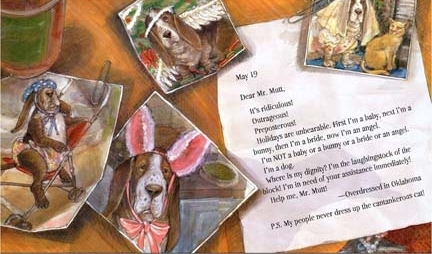 What do Janet's dogs have to say to Mr. Mutt? 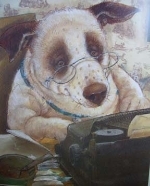 In what other stories have Janet's pets appeared? Have students find the various graphs and diagrams in Mr. Mutt's letters and use as a springboard to discuss, interpret, and create their own. 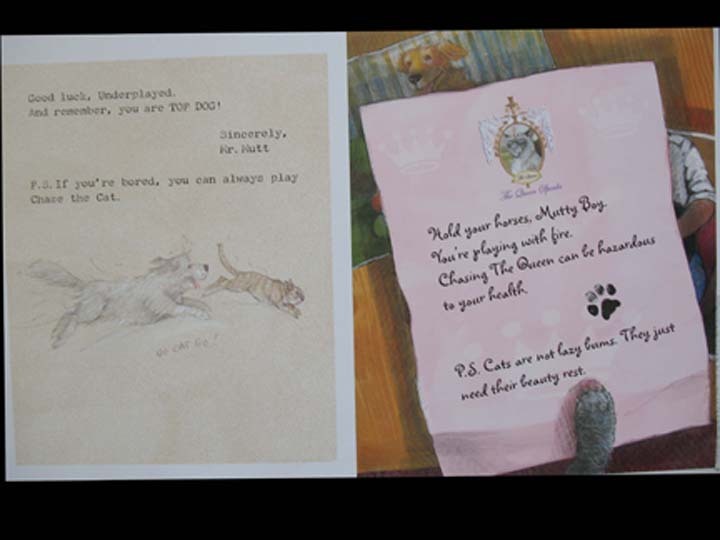 Each dog letter to Mr. Mutt is written in a different voice, as each dog has a different personality that usually relates to the problem. Then let students read each letter in that voice! 7. More "looking for detail"
Pair 2 grade levels (2nd and 5th graders?). Have a 2nd grader write to the 5th grade "authority" about a problem (more recess time, too much homework, food in cafeteria). Have 5th grader respond with good advice and statistics--real or made up! 10. Details in the numbers! Write down all of the zip codes--they're palindromes! 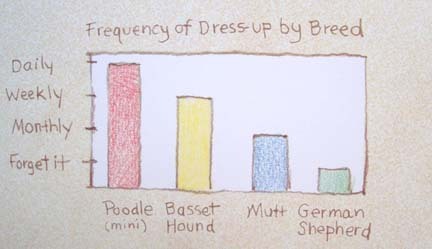 View a PowerPoint show that demonstrates the process Janet used to create a page of Mr. Mutt. 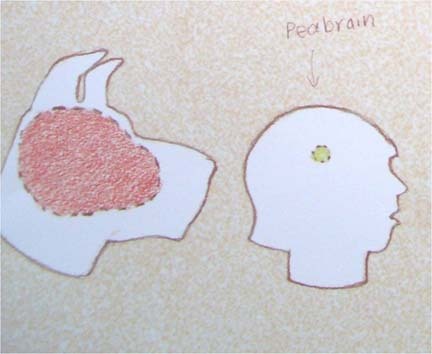 Janet drew most of the images, scanned them in (along with digital images of a can of dog food, paperclips, piece of carpet, a desktop), and then used Photo Shop to compose the page. She printed it out on a huge printer using a piece of watercolor paper, then painted back into it. "Susan's love for children allows her to touch the lives of over 100,000 children each year in ways the rest of us can only envy."